Unicorn makeup is definitely a thing right now, so I decided to do a little look on my interpretation of the trend! 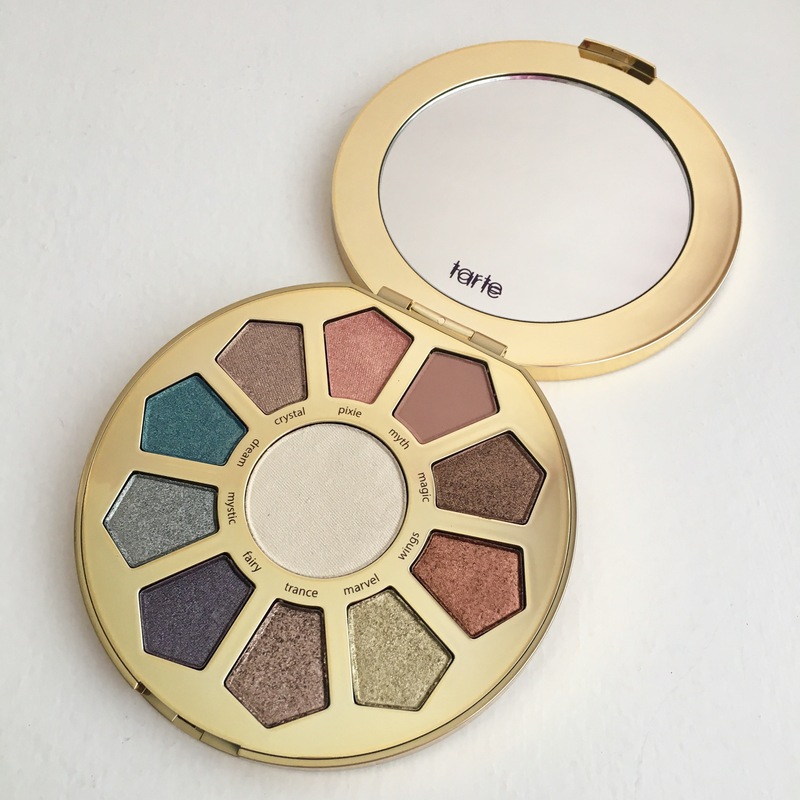 I purchased the Tarte “Make Believe in Yourself: Eye & Cheek Palette” because it has really gorgeous neutrals, as well as fun pops of color! It’s an awesome deal too, 10 eyeshadows, plus a highlight for only 40 bucks! 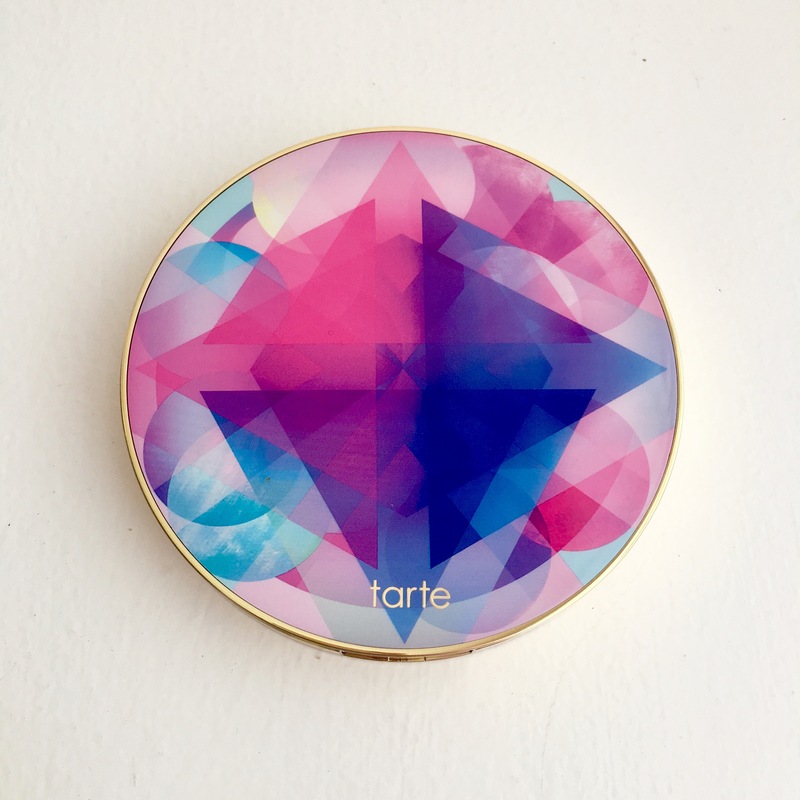 Tarte released this palette as a part of their new collection of other Unicorn-themed makeup items! I typically steer clear from purple and blue eyeshadows, but I was drawn to these shades in particular because they’re surprisingly wearable. I wanted to create a look that was definitely colorful, but not intensely shocking on the eyes. I primed my eyes using the Urban Decay Primer Potion in the shade “Eden” and set my entire eye lid with my translucent setting powder for a smooth and even canvas. Next, I blended the only matte shade in the palette “Myth” into my crease. I pressed this color onto my outer corners as well for added dimension. I took the shade “Mystic” on a flat shader brush and applied it to the inner corners of my eye. This icy blue color is super bright and beautiful! For my all-over lid shade, I patted “Trance” using my finger tips. This is a pretty lavender color that has a lot of silver and taupe shimmer. I found that applying with my finger gave this color maximum color payoff. I used the darker purple in the palette, “Fairy” to shade in my outer corners! I do wish I had a darker matte shade in this palette to use for this step. It’s just my personal preference to not use so many shimmery colors in the crease, but I surprisingly liked how this color worked out! I wanted to do something a little different than my usual black winged eyeliner, so I opted for a navy blue gel liner by Tarte! I think this just helped the look stay super cohesive since it’s all in the same color family. I also applied my Tarte “Tarteist” Lash Paint Mascara, I love that stuff so much! 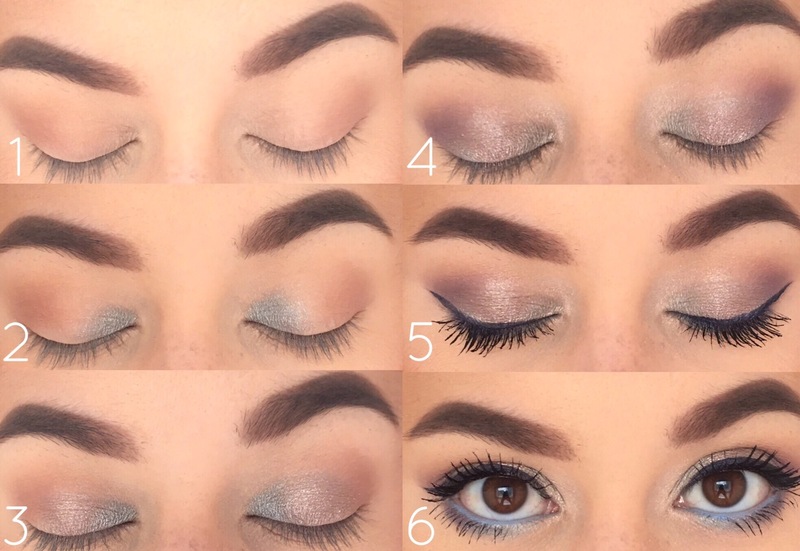 I used the turquoise color in the palette called, “Dream” to define my lower lash line! I also blended “Mystic” over top of that to give it a softer appearance. 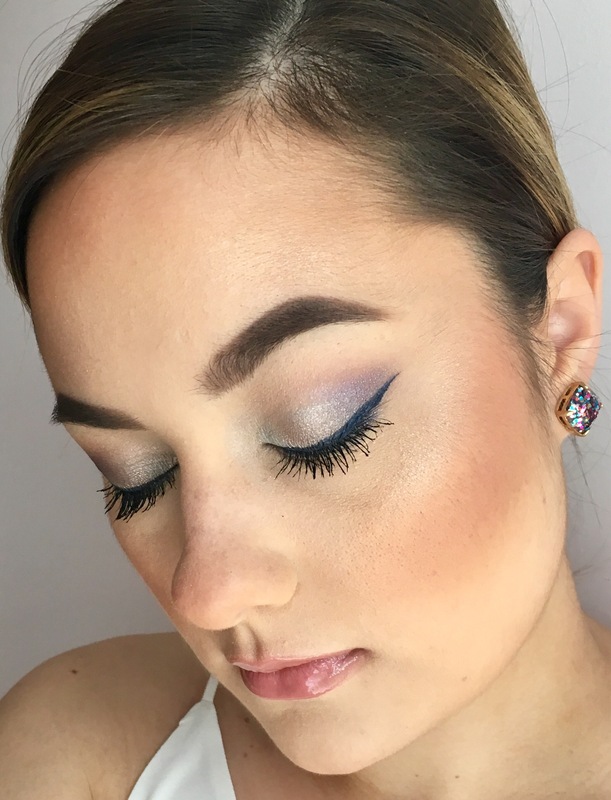 I also used a pastel blue eyeliner by ColourPop in my waterline to make the whole look pop! What are your thoughts on the Unicorn makeup trend? I actually really liked the way this look turned out! It’s fun and different, but it’s also wearable since I kept the rest of my makeup super neutral. The eyeshadows in this palette are actually really pigmented and super buttery, which means they are going to be applied best with your finger! I noticed some glittery fall out when I was trying to blend out a couple of the shades, but that’s super common with sparkle eyeshadows so it was to be expected! Next time I’ll just use extra setting powder underneath my eyes to wipe away the fallen shadow! Let me know if you would like to see a look where I use this palette to create a super natural look! I think it would be fun to compare the warm, neutral shades in the palette and see if they are equally as magical when applied to the eyes! Thank you so much for reading this post! Top 5 Makeup Products Under $10 for Summer| Collab With Beckoning Beauty! I’m obsessed with the underline on your eyes! They compliment your brown eyes so much! I’m curious, what would you recommend for blue eyes? Thank you so much! Have you ever tried the Stila liner in “Lionfish” it’s a gorgeous bronze shade that would make your blue eyes pop! I hadn’t heard of this look but it looks gorgeous! I love unicorns so I will be sure to try this out! Amazing photos and post! Thank you so much! I saw Wet N Wild just released a Unicorn collection at the drugstore!